Our purpose is to transform the future of mobility by enhancing driver perception, enabling vehicle safety and dramatically improving machine vision. You’re part of the biggest leap in automotive evolution since the invention of the motor vehicle: the shift from cars driven by people to cars driving themselves. Sensors are a vital element in realizing this shift. At 3M, we have the technology to help improve sensor performance and accelerate your drive toward the future safely and reliably—from ADAS and Driver Monitoring (DMS) sensor systems to full level 5 automation and beyond. 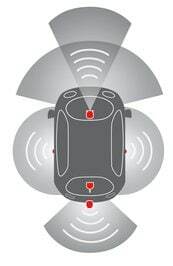 3M technologies enable seamless integration of sensors into design. Sensors we help improve using a total system approach. Learn More about our Consumer Electronic Sensors. Would you like to be contacted by a Sales Rep? The brands listed above are trademarks of 3M™.